Introduction: Laparoscopic colectomy has been proven to be an accepted option for the treatment of colorectal cancer. Its application in high-risk patients is still controversial. This study reviewed the outcome of high-risk patients who underwent laparoscopic resection for colorectal neoplasm. 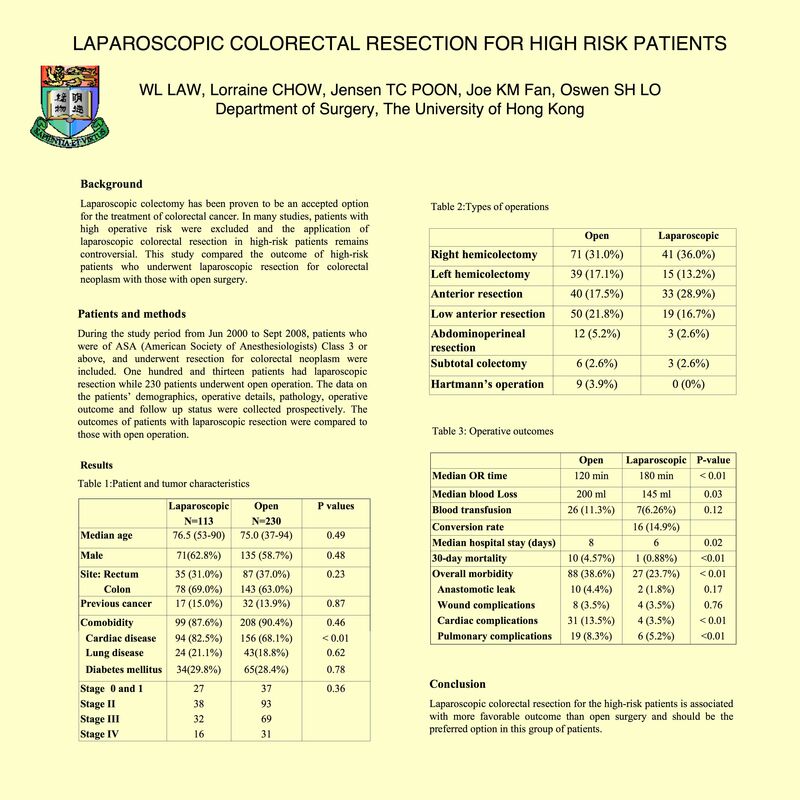 Methods: During the study period, data on patients with colorectal resection were collected propectively. In this study, patients who were of ASA (American Society of Anesthesiologists) Class 3 or above, and underwent laparoscopic resection (LR) for colorectal neoplasm were included. The outcomes of surgery were analyzed and compared with those who underwent open operation (OR).